I’m also blessed because I’ve had friends like Shang and Melly to bring me to their respective churches in the last 2 weeks, so that I can renew my faith again. I’m blessed because our internet connection at home is finally set up, and we’ve survived a whole month without internet connection! I feel blessed because I have a job now, and it’s all because of my portfolio in Union as Publication Officer, which gave me some experience in advertising and publishing, which is definitely relevant to my job now! Heh. Today I went to Mel’s church, NLCC. Got to meet some nice people bla bla bla. But the most important thing is that I learnt that sometimes we are so caught up in our lives and the fun that we are having, and we don’t realise that what we need aren’t the material things, but finding true contentment within ourselves. We keep saying we want more, that we don’t ever know what is the limit. On a totally unrelated note, last week I watched a Korean drama called “Tree of Heaven” aka 天国的树. I really liked the drama series! The best part was that it’s only 12 episodes, so it’s not too long. The story takes place in Japan. It’s about a girl called He Na, whose father died when she was just 8 years old. Her mother remarries 10 years later, to a Korean man with a 20 year old son, Yunxi. Yunxi has not spoken for years, since he was a boy when his mother died. Anyway, Yunxi comes to live with He Na because their parents are going away for their honeymoon. Slowly, bit by bit, He Na draws Yunxi out of his shell, and makes him smile again, and eventually, talk. The duo, who live with He Na’s real father’s sister (her aunt) and her daughter Maya, face alot of difficulties. He Na is abused by her aunt and cousin, but her loving and forgiving nature allows her to bear with it, until they evil mother and daughter sell their home and run away. Inevitably, amidst trials and tribulations, the two step siblings fall in love, though Yunxi was the one to admit it first, and He Na keeps denying it. She even runs away from him by going to Tokyo to work in a hotel, after her high school graduation. Yunxi is heartbroken. Two years pass, and He Na misses her stepbrother terribly, and realises that she has been in love with him all along. Yunxi has hardened and grown into a young man who has never forgotten about He Na. Instead, he tracks her down, and protects her without knowing it. He has become a mafia leader in Tokyo, and has stopped using his Korean name (Yungsuh, aka Yunxi) in favour for a new Japanese name, Yuki. 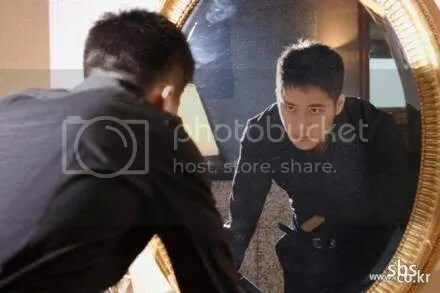 When Yunxi finally shows himself to He Na, he tries to keep her at a distance, believing that his position as a mafia leader will endanger her life. She continues to love him, and expresses it openly this time, though he is withdrawn. He even tries to push her to marry her senior from high school, who has been taking care of her while she has lived in Tokyo for the last 2 years. Slowly, Yunxi warms up to He Na again, and is willing to give their love a second chance. He wants to live the rest of his life with her, but his conscience reminds him that he has yet to tell her the truth about what he does for a living. Encouraged by his love for her, Yunxi tries to quit the mafia because he wants to stop lying to He Na, but this turns the big boss of his gang against him. The boss tries to silence Yunxi by killing him, afraid that he will go to the police with the information he has, once he quits. 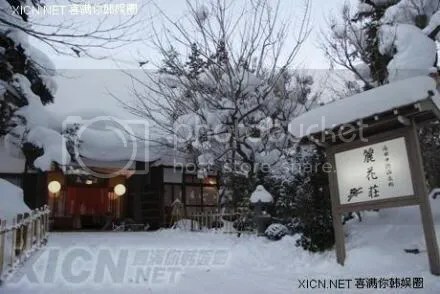 Yunxi is aware of this, and decides to break it off with He Na once and for all, and forces her to promise him that she will marry her senior. On her wedding day, Yunxi comes to the church to watch her from afar. Then he leaves, intending to surrender himself to the police so that he may one day stand righteous again before him. On the way, he is ambushed and stabbed. Grievously injured, he staggers on the roads, trying to get to safety. At that precise moment that he his stabbed, the wedding ring that He Na was going to give to her groom drops to the floor, and she takes it to be a sign that something bad has happened. She runs out of the church and down the roads. Finally she sees Yunxi on the roads, but a car is coming towards him. She tries to push him out of the way, but both of them are knocked down. They are sent to the hospital, where both lie in separate beds in separate rooms, in critical conditions. Yunxi eventually dies, while He Na’s heart is badly injured. Yunxi’s heart is given to He Na, and she lives on after the transplant, still believing that Yunxi is alright. Her friends then break the news to her that Yunxi is dead, and that the heart she has received during the transplant, is his. His heart really has always belonged to her, so she was right in saying so, though it is kinda ironic. I don’t really remember anything else after that, cos that scene was really very touching. Haha. To me, that was the end of the show. But I really enjoyed it, though I normally hate sad endings! Heh. Okay, some pics from the show! Excited by the prospect of meeting her Korean stepbrother, He Na learns Korean from a dictionary! Their home, a hot springs resort. At the bicycle shed before going to school. On the way to school. The other girl is Maya, the evil cousin. Cinderella-ish He Na, being bullied by her aunt and cousin into doing the chores. He Na breaks the pair of heels that Yunxi gives to her as a graduation present. She cherishes that last present from him, and is upset when it is damaged. Lovers as adults. Still riding bicycles! I think the two leading actor and actress acted very well in this movie. Park Shin Hye is only 16! Can you believe it? Yup. She was born in 1990! Amazing right? She’s good! Okay! That’s all the pics that I have! hahah i love this movie, he is so good looking!!!!!!!!! its story is sorrowful once. Tear cleanse a lot of. I aspire after that film. So that I repeat several times. I also like its artists. Can involve touched to liver which look on. Really super. I thirst for to listen its song is sorrowful. So that can be recalled. awww, this frama is sooo sad, like stairway to heaven. I love this movie because the place,music and the actor was so excellent.But the ending was so sorrowful,i glare that Yung Suh save Han Na by giving his heart,so that he could live in her heart forever.I love this movie coz it so romance,i also love another movie call Evil Besides You ,act by Taiwan actor Rainie and Mike.It worth to watch it coz Mike was so cool,and the ending also finish with Happy Ending.I recommeded you all to watch it ,it was a cool,fantastic and funny movie…………..
it was worth to watch this lovely movie…………..
i love this korean drama series, it is a sad lovely story but it is worth to watch. Park Shin Hye acting was so awesome although she just 16 years old, love her so much! I liked this series too! So sad love story indeed! I’m still crying even the moive ended and when I heard OST, couldn’t believe myself! Do you know where I can get the soundtrack from this series? if you have this sountrack,, send me pleaseeee!!! lee wan is a good actor!! I just finished watching this series too and i fell in love with the series and Lee Wan!!!!! Does anyone know the songs? Like the song he whistles?? Hey!! I watched dis on DVD in one night only! it was sooooooooooooooooooo much fun and sad too!!! I cried alot… and i mean ALOT!! hahaha!!!! i love it!! i love the series!! i love this movie,but when i saw this movie,i will very bad feeling.korea drama movie is always sad ending.anyway thanks for photos.you are great Daphne. thish ish the best of the best man i love thish movie it the bomb!!!!!!!!!!!!!!!!!!!!!!!!!!! But I love it.. It’s the best one!!! I loved it too!! It was so touching I felt so frustrated when he died though!! I mean all those romance stuff for nothing!! Ya..seriously does anyone know where you can get the soundtrack for the Tree of Heaven?? I reallu like the tune Lee Wan Whisles. it is a really touching story… i was crying while watching.. but i dun like the ending..rite korean movie always had a sad ending…i hope they can be together happy ever after like cinderella story! i love this movie very much n de soundtrack oso very nice! i remeber the ending, Hana goe to hotsprings and she saw the pics that yunxi had drawed of her she was sitting there with no hope when her phone rings with a sad vid that yunxi left for her before the transplant saying “ill se you in heaven were their is no seperation”. 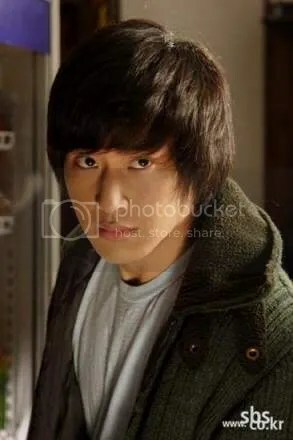 hi lee wan ….. i luv u so much …..ur like the bomb …..!!!!! i wanna have u as meh boifrand…. can i have 1 of ur pic…??????….. hahaha i love this drama!!! do you know the 2 songs that are played over and over in the drama? i really wanna donwload it!! Yes. it’s very sad. and it’s so sweet the way he loves her. i just watched the whole thing yesterday. and yess…..Lee Wan is FINE.capital F, I, N, E, bold, italic and underlined with 3 exclamation marks!!! I loved the movie it was the best movie I had ever seen and Lee Wan was the most cutiest guy. He made the movie even better that’s how i liked the movie and of corse it was sad. hmmm….i can feel the taste is this film……!!!!! you should WATCH THIS MOVIE NOW!!!!!!!!!! YOU MIGHT CRY CUZ I CRY IN THE END AND THE OTHER SAD PARTS IN THE MOVIE. I really love, love this movie, it’s the best drama i’ve seen, and I want to own this movie, do you konw where I can get a hold of a copy? Marry And Happy At The End. omg i love this movie…icry so much in this movie…but wen Hana did goong s 2 with se7en(her new movie) damn she was the evil girl and you know how she always do nice movies and yeah so me and my sister can never define her a evil girl…..well yeah!!! It’s my favorite drama series. Hah.I love Lee Wan.So handsome.Atually…Lee Wan is the brother of Kim Tae-hee,not a sister but a brother…a younger brother.Both are entertainers…Awesome.I’m trying to download the drama’s OST.Using Flashgate…but everywhere seems to use megaupload. I’d finish it quite a long time ago.I watched it TWICE.So proud.I’m having test this morning and I’m still here.Yesterday test,today test,next week test for two days.It’s the end of the world.I’m trying to relax…that’s why I’m here.I support every Korean suprestar except Lee Byung-heon.I don’t know why I still collect his image…?????!!!!! sucsses 4 u….good luck 4 u job!!? park shin-hye sarangngeyo… ^^ Sucsses 4 u….